Mental Health - We need to talk about it | Islay High School - Ard Sgoil Ile. This booklet is designed to help young people keep up the fight in the battle of life. There is lots to help with various traumas they might be facing or might have in the future. Watch, listen and read interviews with people who have personal experience of depression, and find reliable information on treatment and where to find support. A Scottish interactive site for depression and anxiety, where users can access cognitive behaviour therapy (CBT) treatments online. Information for lesbian, gay, bisexual and transgender young people as well as links to local groups. A support network and information resource for anyone living with depression. Works to create a better life for everyone with experience of mental distress. Depression and manic depression fact sheets can be downloaded from the website. This website provides information and resources on mental health for professionals, parents and young people. For those aged 16+, this website run by YouthNet provides information guides on a range of issues (including mental wellbeing) and a non-judgemental Q&A function with expert advisers to respond and offer support. ‘See Me’ is Scotland’s national campaign to end the stigma and discrimination of mental ill-health. Advice on mental, physical and sexual health for teenagers. Information on how young people deal with depression. Advice for young people about what to do when they have problems that are worrying them. Support for young men who find it hard to talk about their worries. A voluntary organisation that works directly with Scotland’s children and young people in care. Advice on helping friends who are stressed. Help with issues that can be stressful such as those concerned with family, school and money. Mind helps people take control of their mental health. They do this by providing high-quality information and advice, and campaigning to promote and protect mental health for everyone. This website gives advice on practical ways to start dealing with stress. A website for teenagers, giving advice on a wide range of physical, mental and social health topics. YoungMinds is the UK’s leading charity committed to improving the mental health and emotional wellbeing of children and young people and empowering their parent(s)/carer(s). Helpline for young people to discuss any problems or concerns. Support for young people, their friends and parents if they are feeling suicidal. 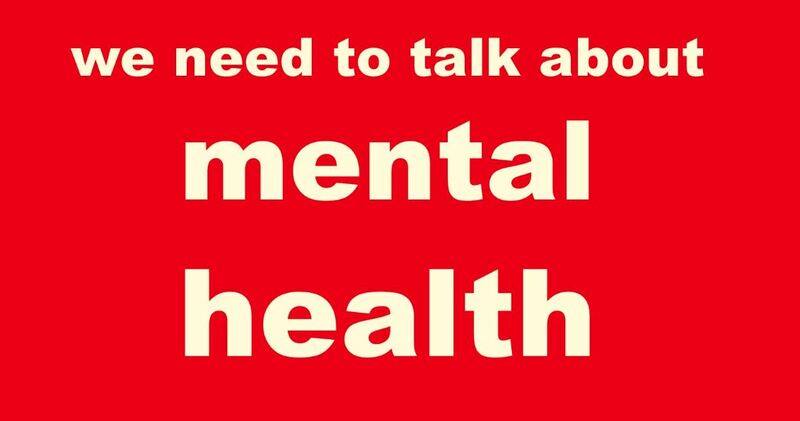 A range of advice and support about mental health topics. Information for young people on a range of health topics. ASIST is a LivingWorks Education programme that provides participants with practical training to be more willing, ready and able to intervene in order to prevent the immediate risk of suicide. safeTALK was developed by LivingWorks Education. As more people are trained to be suicide alert, increasing numbers of people with thoughts of suicide are connected to the intervention help they need. In only a few hours, participants learn how to provide practical help to people with thoughts of suicide. Participants leave more willing, ready and able to perform an important role. Email: nhs.healthscotland-knowledge@nhs.net NHS Health Scotland’s lending service for books, videos and training materials for anyone interested in health improvement. The National Self Harm Network, providing a forum for survivors, professionals and family. Online self harm support community. Works to support girls and women in emotional distress and to develop services and raise awareness of self harm and mental health issuses. Provides self harm recovery, advice and support for young people. Targeted at young men aged 15-35, offering help, information and advice. Anyone, regardless of age, gender or geographic location can call the helpline. Leaflets on anorexia and bulimia can be downloaded. Written for people who suffer from eating disorders such as anorexia and bulimia and those who care for them, they give good quality information on assessment and diagnosis, treatments and living with eating disorders. Anorexia and Bulimia Care offers a professional, personal and caring service, from a team of staff with experience in eating disorders, providing encouragement, advice and support for all involved (sufferers and family members) to help make full recovery possible. This is a UK charity for people with eating disorders and their families. There are separate confidential helplines – one for adults and one for young people under 25. Under 25s can also text or chat online to a member of the youth team. This booklet is for anyone who is affected by eating problems. It describes the signs and effects of eating problems, suggests possible causes and looks at the different treatments available. Overeaters Anonymous is a fellowship of individuals who, through shared experience, strength and hope, are recovering from compulsive overeating. They welcome anyone who wants to stop eating compulsively. Information and help on eating disorders. Information on alcohol and liver disease, alcohol dependence and withdrawal symptoms, and alcoholism and problem drinking for those aged 16+. A range of leaflets on various topics related to substance abuse and mental health. Booklet: Understanding addiction and dependency. A range of resources, tips and tools for talking to young people about alcohol at any age. A site for teachers, parents and young people aged 11-16 with information, lesson plans and resources about alcohol. A website for teenagers, giving advice on a wide range of physical, mental and social health topics, including alcohol. Topics include treatment, side effects and UK drug laws. For free 24-hour confidential drugs information and advice. Information for parent(s)/carer(s) on talking to children about drugs and alcohol. Information on drugs and alcohol for anyone worried about themselves, a friend and/or a relative. Details are available here of local support groups. FRANK helps young people find out everything they might want to know about drugs (and some stuff they don’t). As well as a website full of facts, friendly, confidential advice is available via phone, text or email. A website for teenagers, giving advice on a wide range of physical, mental and social health topics, including drugs.